The first ever Nairobi Burger Festival week is almost here. Toss out the diets, forget calories and get ready to indulge in some greasy, juicy burgers. It will take place between Monday 30th May 2016 and Sunday 5th June 2016. The festival will offer customers a BOGOF where they buy one burger and get another for free. Over 80 restaurants are taking part in the week long affair and with the large number of restaurants participating you are spoiled for choice. 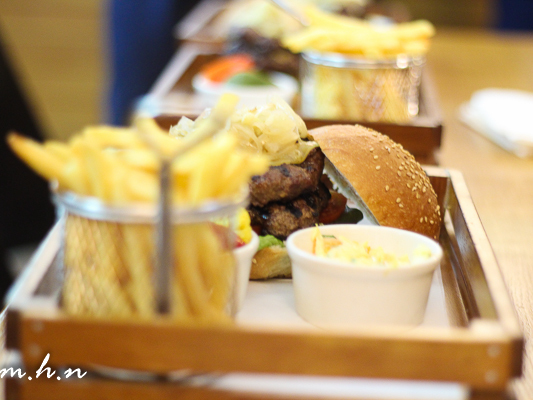 One of the restaurants participating in the festival is Urban Gourmet Burger at Westgate Mall in Westlands. The festival organizers, EatOut put together a preview of the festival yesterday at Urban Gourmet. We got to sample the burgers and one thing you can be sure of is that the burgers there are awesome and very tasty. We were served the mini burgers some with some cherry tomatoes, others lots of cheese with onion rings and fries on the side. The onion rings were bland which made the fries preferable as an accompaniment. One of the guests requested for chicken burgers that were not available. Hopefully that will be available during the festival for those who lean more towards white meat.